Really pretty and they look so delicate! Stunning blossom. We have one branch clinging on to some too! What a beautiful photo of a flower in bloom, not many left at this time of year. 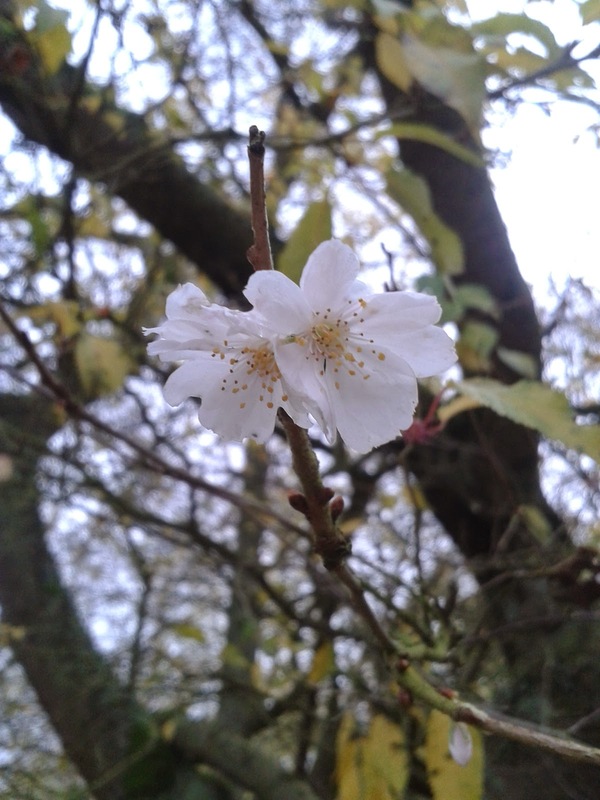 Even if that is a winter flowering cherry it is still very early - proof how mild it has been this autumn.